Joshua Axelrod unveiled his miniature MAME arcade cabinet at the New York MakerFaire, and it’s a beauty. 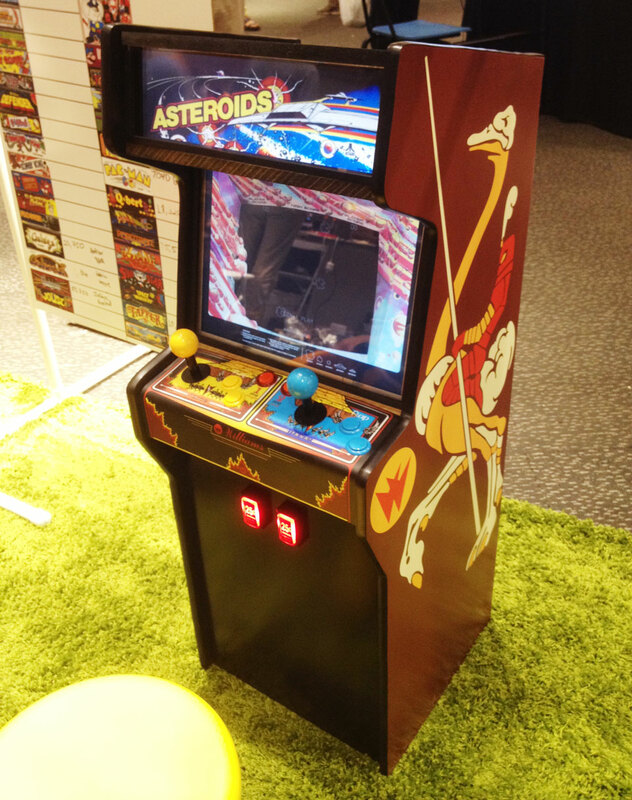 He was inspired by the size of Jürgen Müller’s Asteroids Mini, and decided to expand its roster by making it a MAME machine modeled on the classic Williams Joust cabinet, capable of playing nearly any classic arcade game. Popcade is about three feet tall and thirteen inches wide, perfect to fit in a house or apartment without eating up an entire room. Aside from spot-on design, the thing that makes Popcade stand out is the marquee and bezel art. Axelrod created files for a number of classic games; selecting a game from the main menu changes the marquee screen up top, and loads the bezel art around the game on the main screen. Each game feels like you’re playing a dedicated cabinet (aside from the Joust bird on the side, and the “Flap” label on the button). Of course, Asteroids is one of the games, which caught our eye at MakerFaire. 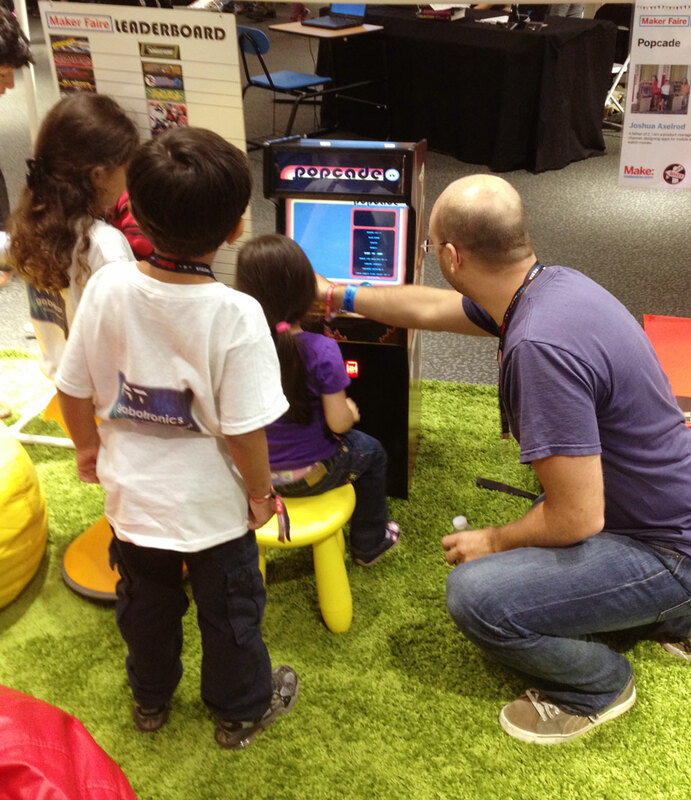 The Popcade is the perfect size for a small child, so Axelrod’s own children are learning about the classics. You can buy your own Popcade at the Popcade website. It comes without game ROMs, but will run like a charm when you install them separately.